Blue Sky Windows Hampshire Ltd is a family run business. All the work is guaranteed for 10 years and Certass Fenestration Registered. All windows, doors, conservatories, fascias and guttering can be catered for with no job being too small. You can view our feedback on Checkatrade by clicking here. We can supply and fit a wide range of doors throughout Lymington, Southampton, Dorset, Bournemouth, New Forest, New Milton and Hampshire. Blue Sky Windows (Hampshire) Ltd offer a huge range of elegant exterior doors from our “Definitive panel collection” which provides a more traditional selection of our best selling doors at fantastic prices. All doors are constructed from high performance PVC-U that looks great and will last for years. These low maintenance doors are manufactured using state of the art technology and materials, offering excellent sound and thermal properties to comply to the latest Building Regulations and conform to British Standards. 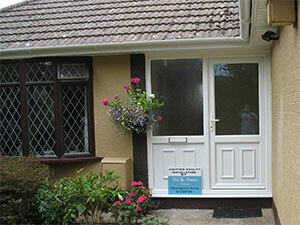 Our Composite Doors range has been carefully constructed to cater for the consumer demand for a more contemporary look. Containing a completely new selection of modern glass designs, additional colour finishes, and some new door styles. The new styles offers a totally refreshing new look. 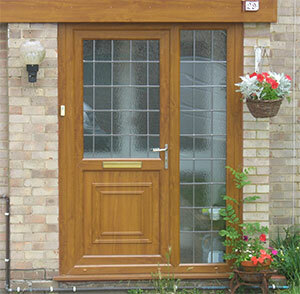 Our Composite doors are constructed using a frame of solid, water-resistant polymer material. The frame is filled with a high density polyurethane foam. A high impact GRP skin is bonded to the frame to ensure the core is protected from damge or water absorption. This combines to achieve the BS 6375-1 for weather tightness, air, wind, and water protection. All of our doors also achieve PAS 24 security standard and UK building regulations on heat loss of less than 1.6 W/m2K. 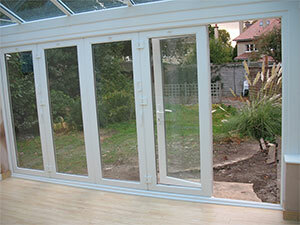 Our Bifold Doors are available in in PVC-U or ‘Warm Core’ Aluminium, catering for a wide range of colour. If you have any questions or would like to talk to us about any work you would like us to carry out please don’t hesitate to get in touch. You can either call, e-mail or leave us a message via our contact form by clicking here. © 2017 Blue Sky Windows Hampshire Ltd.